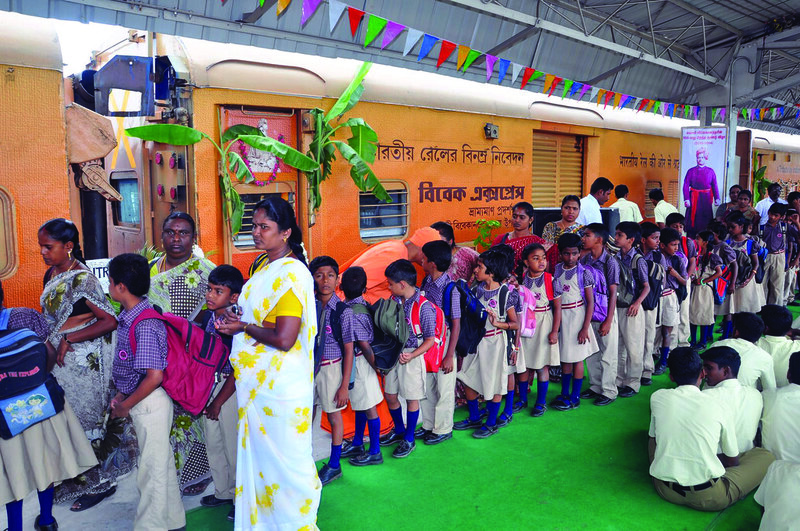 Staff members and students of the various institutions of the Vidyalaya, school and college students from many other institutions in and around Coimbatore, and the general public visited the Vivek Express, a theme train and expo on wheels. 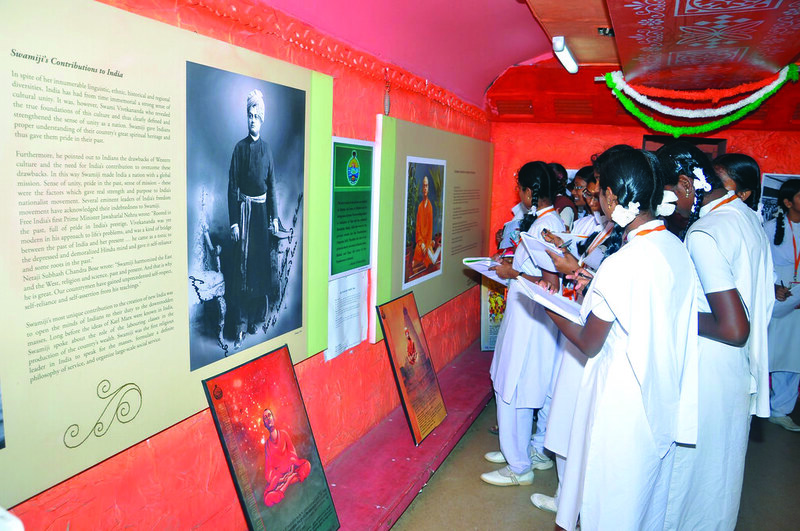 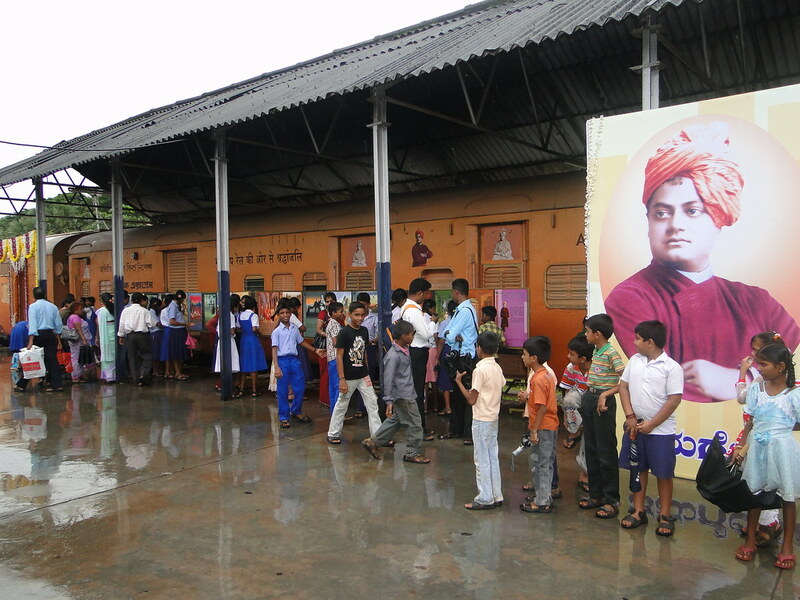 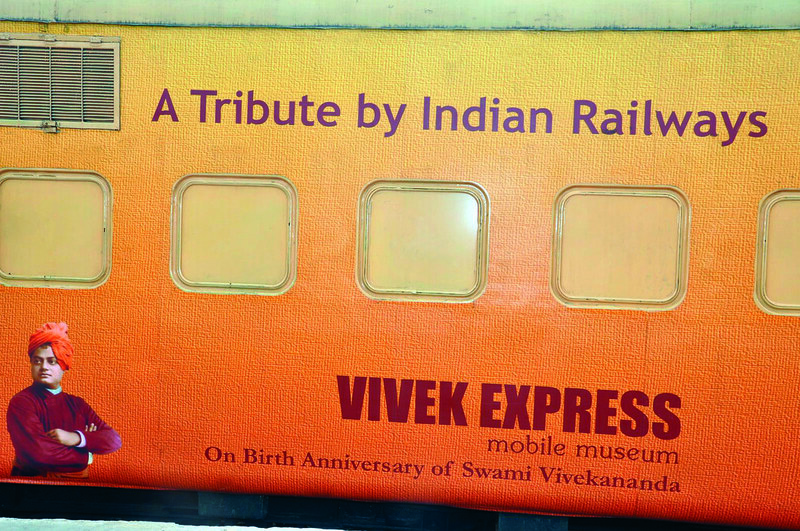 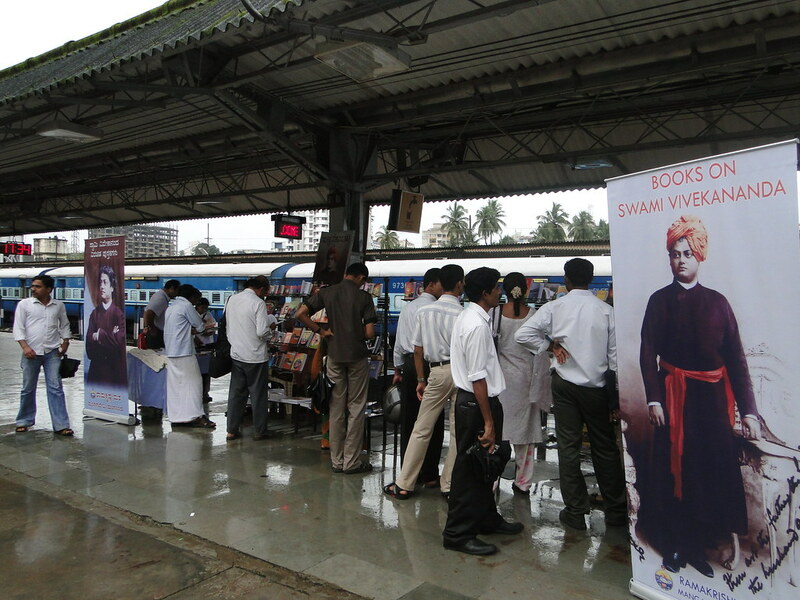 The train, an initiative of the Indian Railways to spread across the message of Swami Vivekananda on the occasion of his 150th birth anniversary celebrations, halted at the good shed platform in Coimbatore Junction on 21 and 22 July 2011. 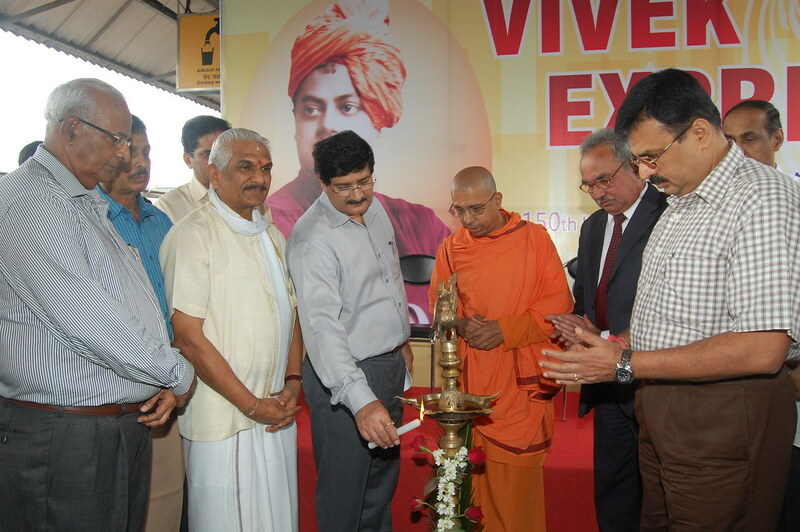 Sri M. Karunagaran, IAS, District Collector, Coimbatore, inaugurated the two-day event and Swami Sukhatmananda, Adyaksha, Ramakrishna Math, Ooty, presided over the function. 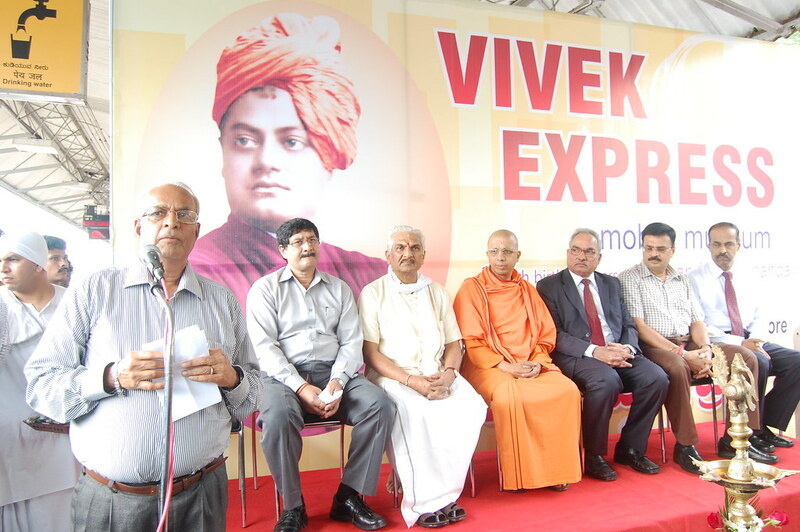 Many dignitaries were invited for the occasion. 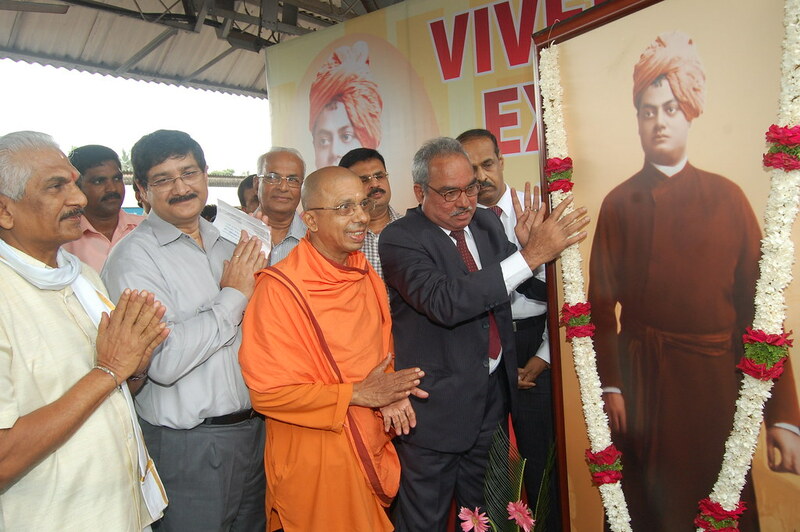 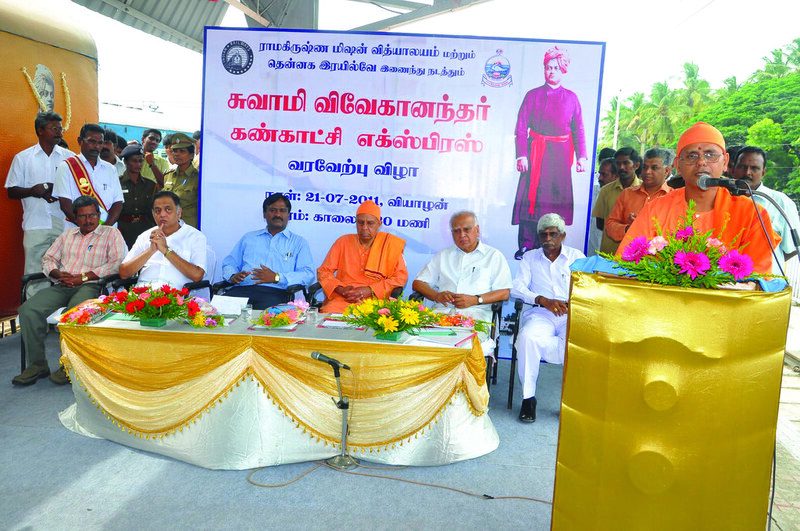 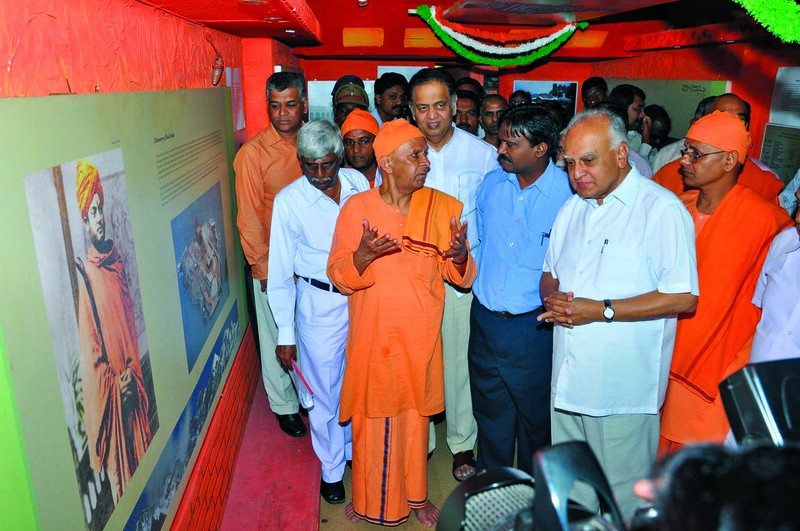 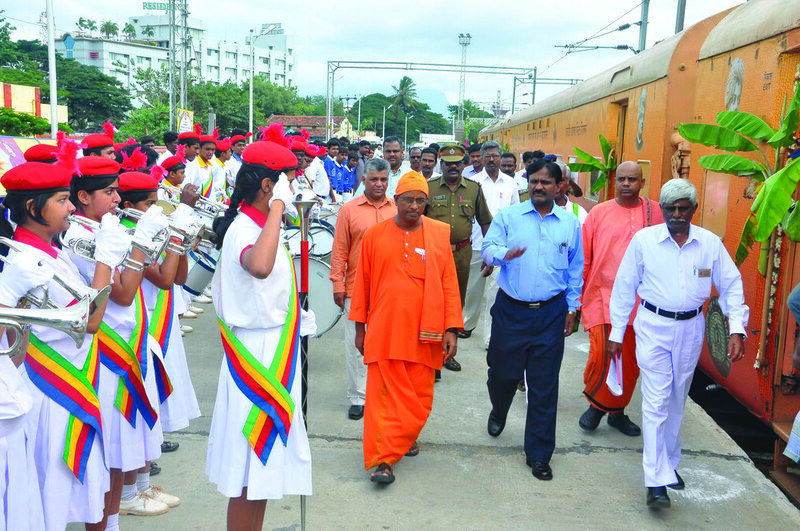 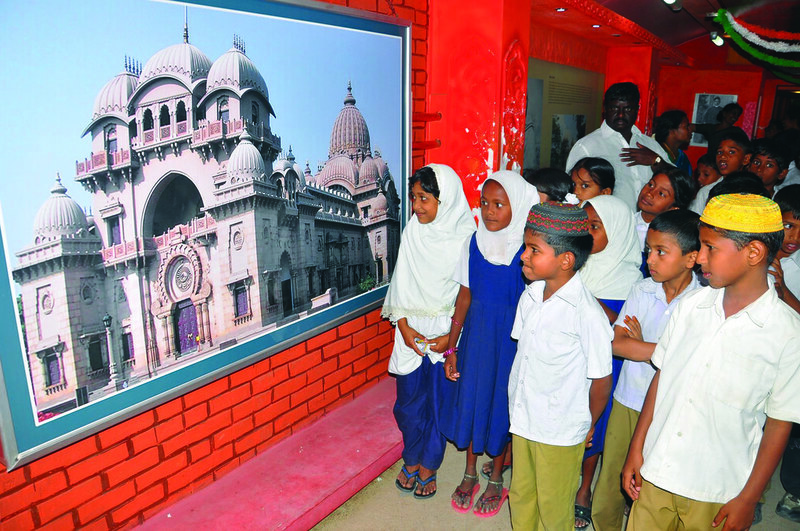 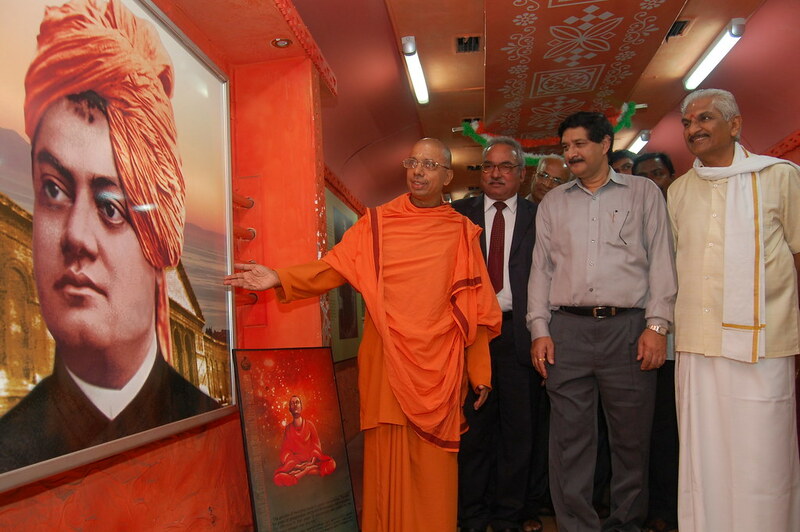 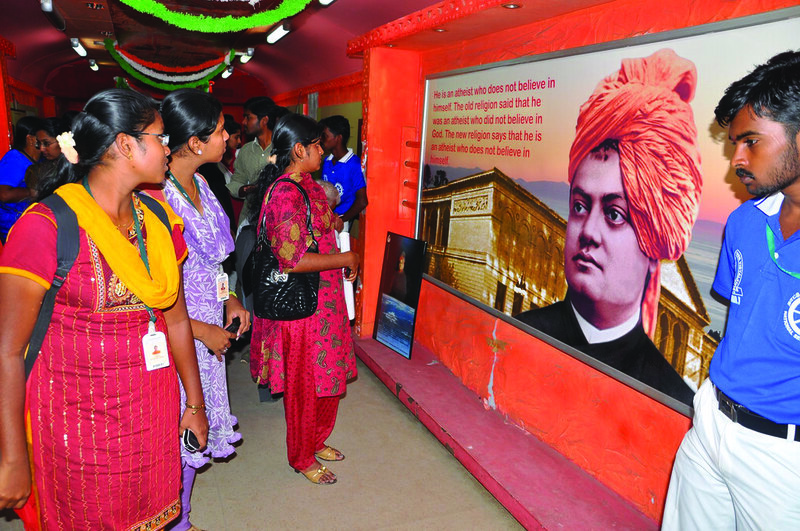 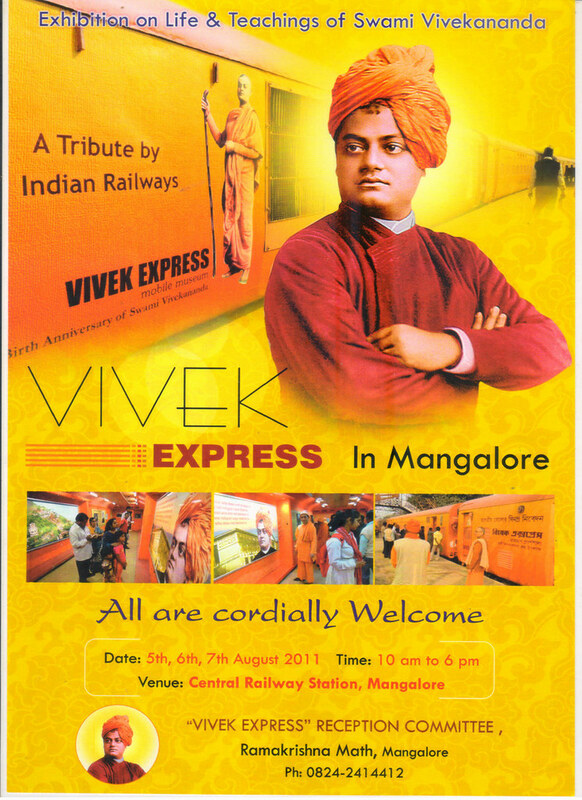 The event was jointly organized by Ramakrishna Mission Vidyalaya and the Southern Railways, Coimbatore Junction.